Playhouse is a national collaboration between Plymouth Theatre Royal, York Theatre Royal, Polka Theatre, Birmingham Rep and Bristol Old Vic. The five theatres have worked together to commission professional playwrights to write short plays specifically for large casts of primary school children to perform. 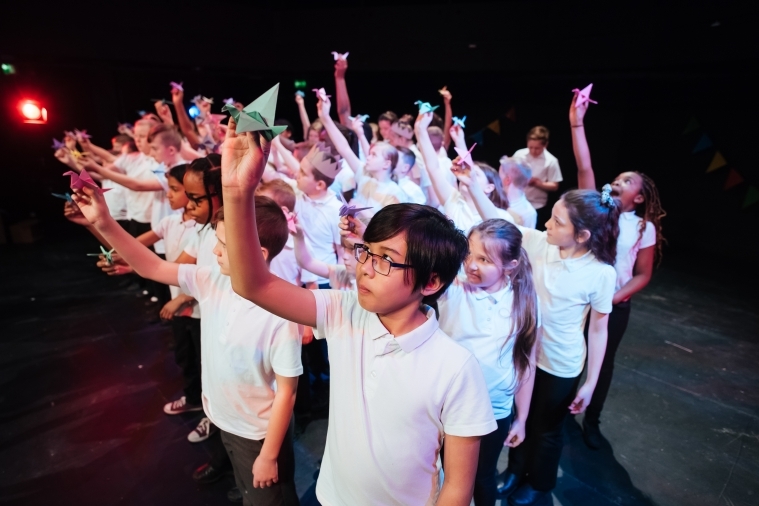 Over the course of the project, each theatre supports, trains and, at the end of the year, hosts six schools from their local area to perform their pieces as part of a Playhouse Festival. The next festival will take place in Summer 2020. Playhouse at Bristol Old Vic is made possible thanks to generous support from: The Joyce Fletcher Charitable Trust, The Portishead Nautical Trust, and Andrew Fletcher.